Note After version 5.0.17281.0 always run Language.rdl first. Make sure your user has "Content Manager" on the folder you are trying to update. 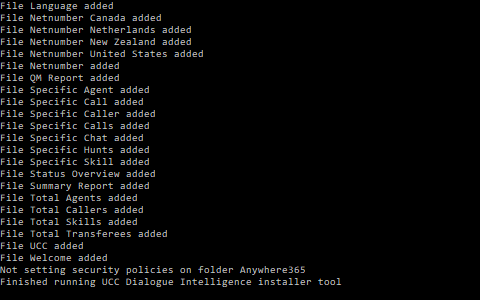 Unzip the Report Install file. 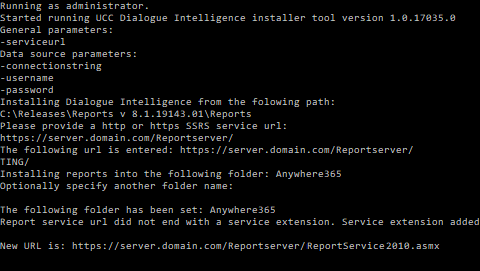 Open the "ssrs_config.xml", clear the "connectionstring"
Tip If you only have the Report Manager URL, replace "Reports", with "Reportserver". (Optional) Enter the name of the folder, if left empty "Anywhere365" will be updated. Note If wrong folder is entered, a new folder is created. The report .rdl files will be now be updated. Note If you received an error message, please check if the all values are correct, the account has the correct permissions or run the script directly on the server. If this doesn't resolve it please check our FAQ. Report folder is successfully updated.